Tacoma, Washington is a fun urban port city that lies on Puget Sound in Pierce County, Washington. Tacoma is known world-wide for being the center of glass art and features specialty glass art exhibitions, museums, and shops. Sixth Avenue in Tacoma is the place to be to enjoy live music, fancy eateries, and beautiful views. 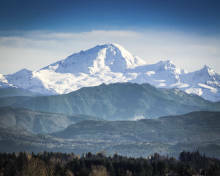 Tacoma also features hiking opportunities, and many natural beauties to explore such as the well-loved Point Defiance Park and the Point Defiance Zoo and Aquarium. Residents enjoy the urban lifestyle of Tacoma’s lively downtown featuring seemingly endless restaurants, bars, and museums, as well as the stunning view of Mount Rainer from the waterfront. The “North End” of Tacoma is a larger neighborhood that encompasses multiple smaller neighborhoods (Proctor, Old Town, North Slope, the Stadium District, and the University of Puget Sound area), which are some of the most popular neighborhoods in Tacoma. The North End is popular due its street culture, friendly faces, walkability, and historic homes. 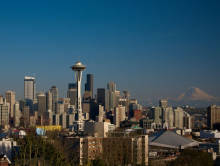 Although Tacoma is an excellent option if you want to live on the waterfront, many people choose to live in Seattle, which is only hour away, and has a bigger city feel. Click the tabs to learn more about what it's like to retire in Tacoma! Match me with 3 top Tacoma Realtors!